Disney Jungle Book (Colonel Hathi). Colonel Hathi the big elephant from "The Jungle Book" retired. This pin will not come on the original backer card. 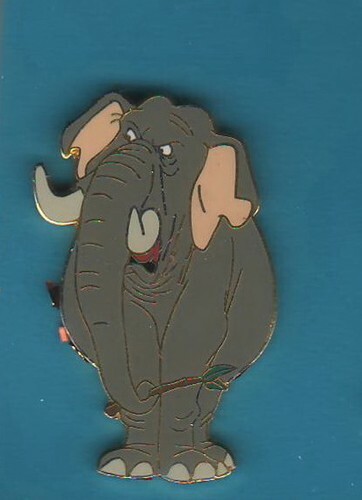 released at both DLR and WDW Resorts features the leader of the elephantine dawn patrol Colonel Hathi from Jungle Book standing with a tree twig in his trunk.